Mining and Reindeer Can Mix? 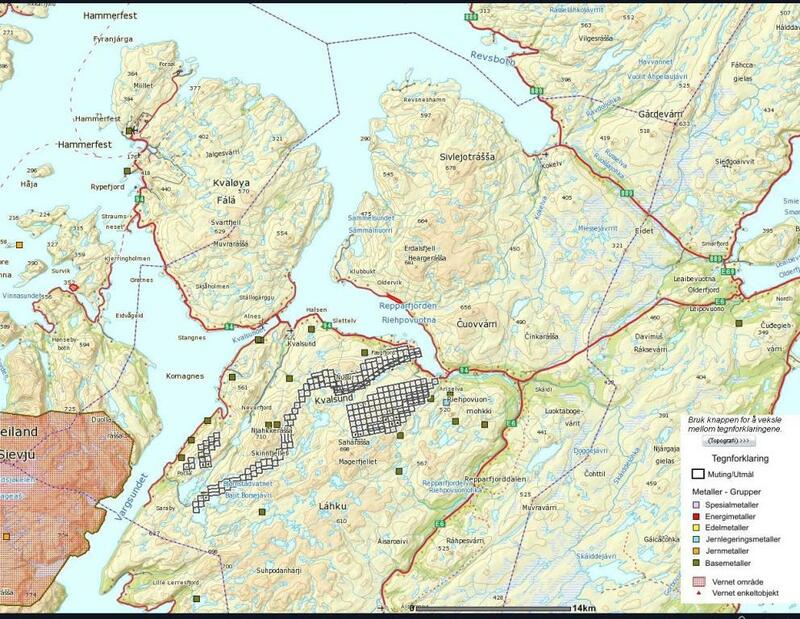 Both Finnmark society and the Sami community is entirely dependent on new activity. 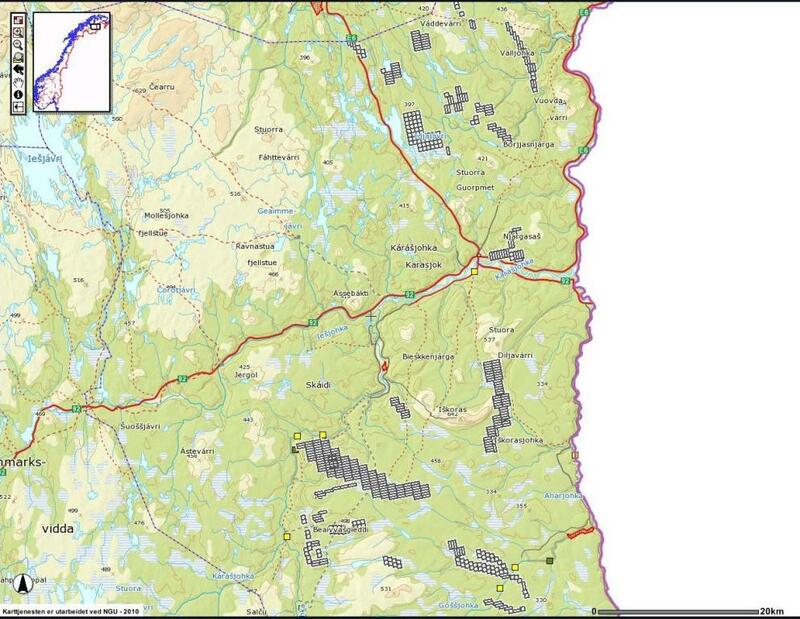 If one is to preserve the culture and language we are going to have to have new jobs for the youth in the Sami villages. You can not save the Sami culture simply by having Sami kindergarten at Tøyen in Oslo and courses in communities with cafe lattes, it has to happen here, "said Helga Pedersen told NRK Sámi Radio. 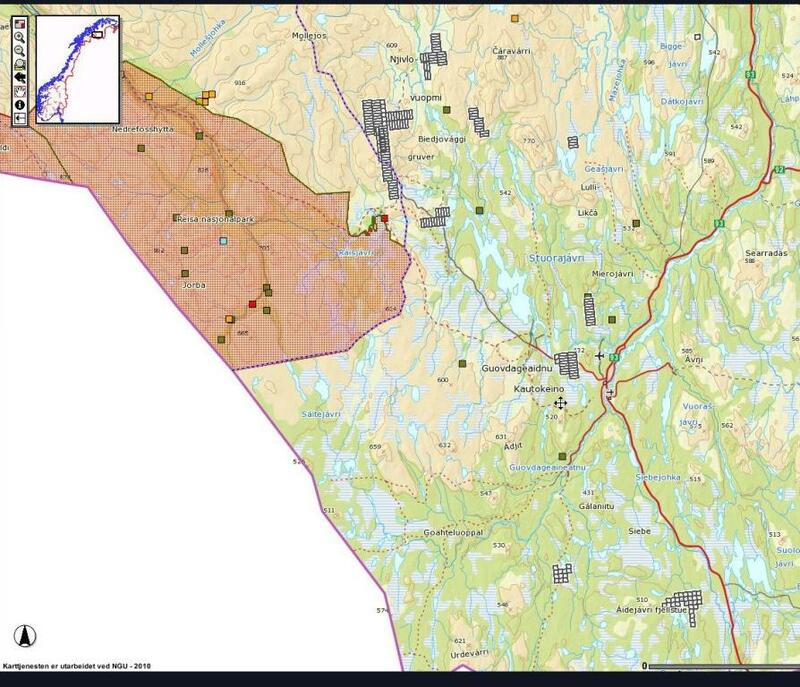 Certainly the mining claims that are currently available to public record are considerable in Finnmark - most expecially in the Karasjok and Kvalsund areas which are both important areas of reindeer husbandry - See pictures below. 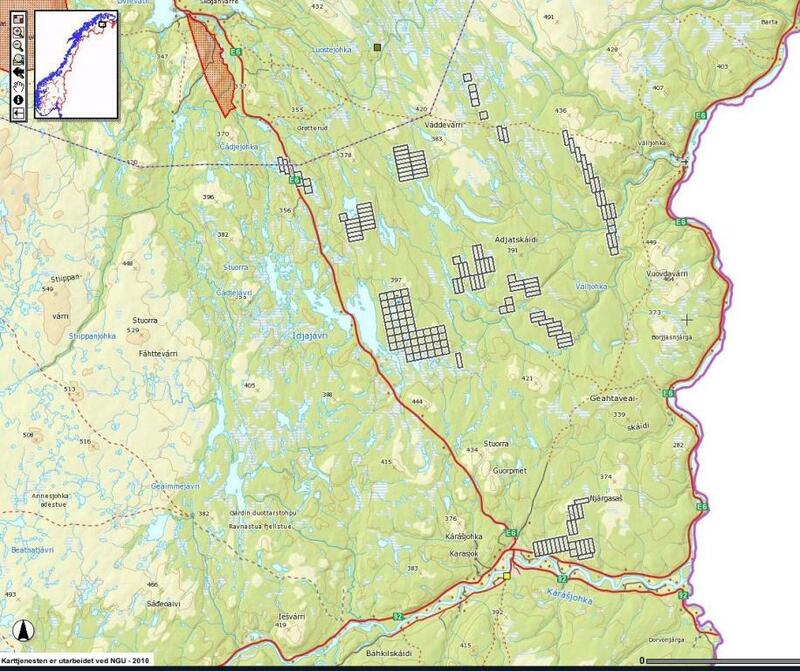 It's reindeer owners in that district who know best whether it is possible to have mining operations in the area and to what extent. 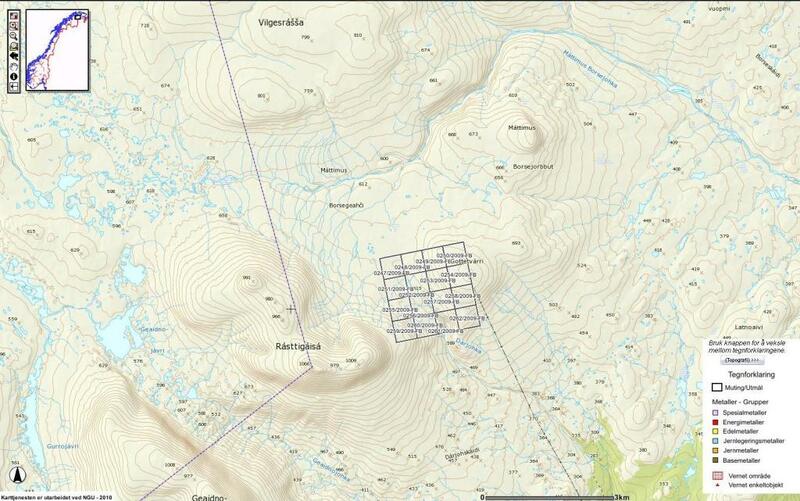 That way you can customize the mining operations to reindeer herding in the area. The reindeer owners who know how much is tolerated. In the last election (2009), the Labour Party of Norway won over 45% of the vote in Finnmark, one of the highest levels of support for the party in the country.